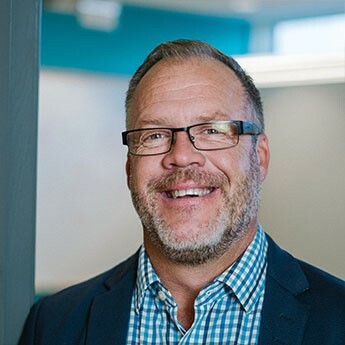 Relentless in his pursuit of knowledge and insatiable in his desire to deliver outstanding integrated campaigns that have tangible, positive results, Marty has over 20 years of experience guiding clients and associates to expand their boundaries. A creative thinker and problem solver at heart, he is Sherpa’s “Big Idea” front-runner. Marty believes it’s not good enough to be creative for creativity’s sake, but rather that great creative is table stakes and that it must drive action. Good creative stops and holds the viewer. Great creative compels the viewer to act and brilliant creative integrates into a lifetime brand experience that is measurable. Providing solutions that add value is not an objective that can be met without strong commitment from the leadership of a company. By encouraging and enabling the Sherpa team to embrace this philosophy Marty ensures that all customers receive the full benefit of Sherpa’s capabilities. Marty believes in community involvement. He does so by sharing his expertise and that of Sherpa with several charitable organizations. The ability to think strategically and plan is honed over a lengthy career and Marty is able leverage this experience to help organizations create effective strategies and tactics that drive long term and sustainable growth.